The Dream Racing Motorsport racer started on the front row and ran second early on behind eventual race winner Damon Ockey. Hardwick slipped behind the Dorr Motorsport duo of Manuel Lauck and Florian Scholze during the pitstops, but after he was victorious in yesterday’s first race, a podium today ensured he was crowned champion. The top three ran close together for the whole of the 29-lap race – which was interrupted by two safety car periods – and they crossed the line separated by just 1.5 seconds. 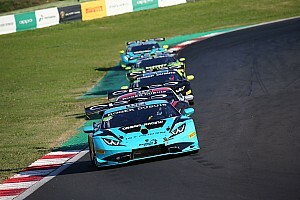 Frenchman Joseph Collado was crowned champion in the Super Trofeo Lamborghini Cup class with victory over the YH Racing pairing of Takamichi Matsuda and Dai Yoshihara. The first intervention of the safety car was on lap 21, when Dutchman William Van Deyzen hit the wall in his Van der Horst machine and his damaged car was towed to safety. 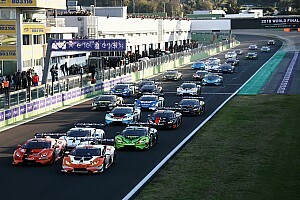 After the race was neutralised for two laps, on the restart there was further drama when Glacuo Solieri careered over the grass and took out the Autovitesse Huracan of Jenny Laurent. Footage of the incident appeared to show Solieri losing control due to a broken right-rear wheel. Behind the top three, there was a close fight for fourth, with Davide Roda (Antonelli Motorsport) holding off Shea Holbrook (sharing with Martin Barkey) and Ange Barde (AGS) securing sixth place ahead of Wayne Taylor Racing’s Cameron Cassels. 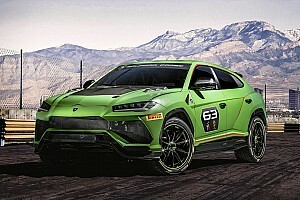 Swiss racer Cyril Leimer was given a 30-second penalty at the end of the race after he made contact with Raffaele Giannoni Tricolore car, battling for fifth, on lap four. As the pair approached the braking zone at Turn 5, Leimer clipped the rear of the Italian’s Lamborghini and spun him out of contention. 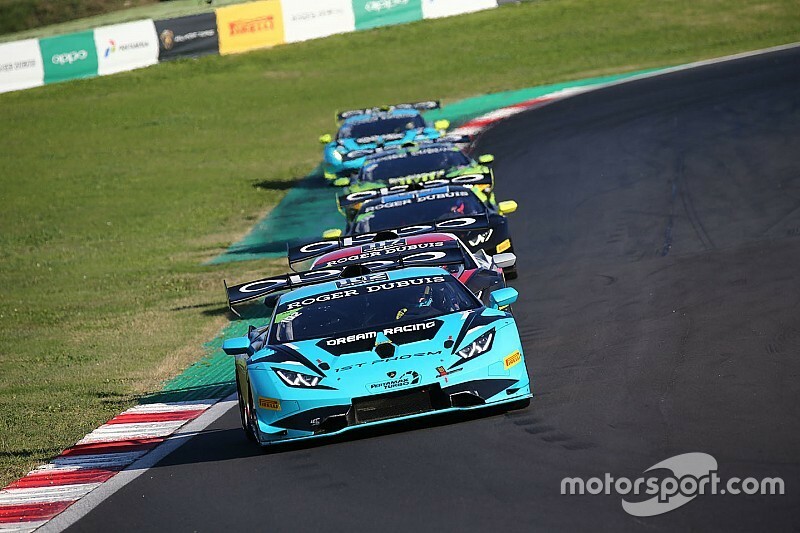 The final race of the 2018 edition of the Lamborghini World Finals takes place at Vallelunga later this afternoon when the Pro and Pro-Am titles will be decided.